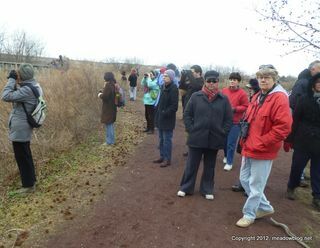 We had a great turnout for Sunday's guided walk at Mill Creek Marsh. 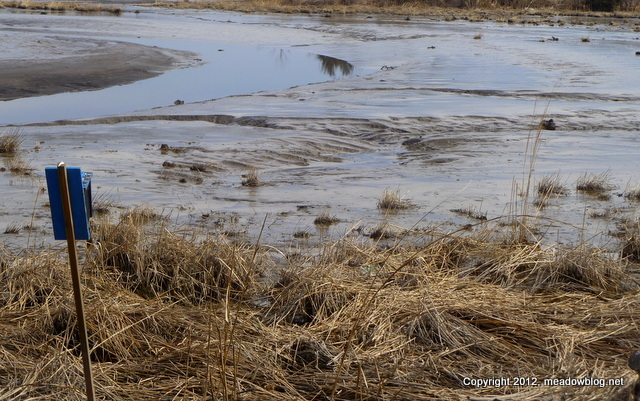 Low tide meant lots of ducks in several concentrated areas — alas, no Eurasian Green-winged Teal. Highlights included an Orange-crowned Warbler, Sharp-shinned Hawk, loads of Green-winged Teal, andsome Hoodies and Common Mergs. Curiosities ranged includeda garter snake trying to catch some rays (posted separately).